New Hampshire is tough to beat for winter scenery, and the most extraordinary way to appreciate the serenity of snow-filled forests is on a pair of cross-country skis or snowshoes. Here's your guide to 3 places in New Hampshire where you can cross-country ski or snowshoe and burn calories while you marvel at the views. The picturesque village of Jackson is home to one of the best cross-country skiing spots not only in New Hampshire but in all of New England. The non-profit, community-based Jackson Ski Touring Foundation maintains 150 kilometers of trails including trails specifically designated for snowshoeing. The bad news: You need to be a member of the Jackson Ski Touring Club to use these trails. But wait! The good news is: One-day memberships are available. With 100 kilometers of well-groomed trails, the nordic ski area at the historic Omni Mount Washington Hotel is one of the largest cross-country destinations in the East. Venture into the White Mountain National Forest on traditional cross-country or skate skis or snowshoes, and experience the pristine beauty and energy of these old-growth woods. Rentals and lessons for all abilities and ages 5 and up are available. Like its namesake in England, America's very own Stonehenge is an enigma. 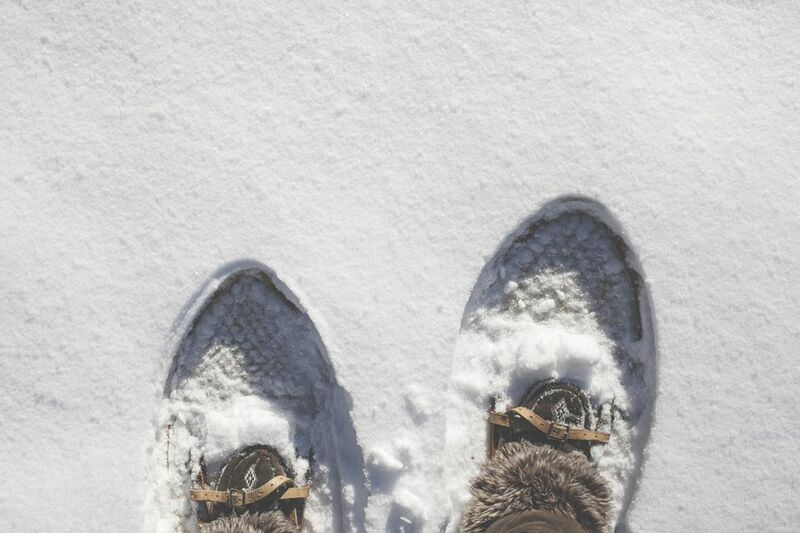 That makes it a fascinating attraction to explore year-round, and when snow blankets the ground surrounding these ancient, inexplicable ruins, you can rent snowshoes (or bring your own), and explore in an invigorating way. For a truly mysterious and memorable experience, sign up to participate in an evening Candlelight Snowshoeing excursion: hot chocolate and cookies included.